Today was Day #5 of Chocolate + Hearts and Flowers Theme Week. 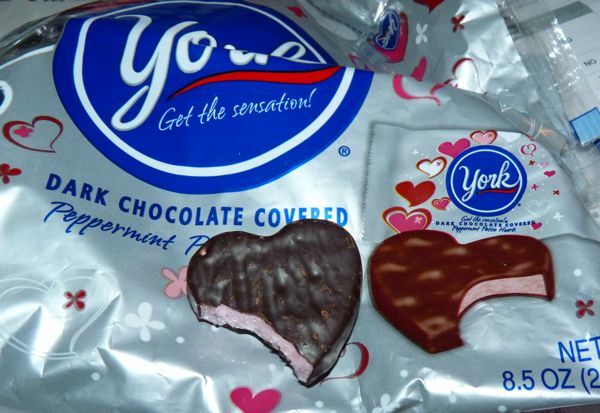 York Peppermint Patties came in a special flavor this month -- Peppermint Pattie Hearts. These dark chocolate covered, heart-shaped pieces came individually wrapped in a larger plastic bag. The conventional white peppermint centers were colored pink to match the occasion -- a celebration of Valentines day/month.